can't wait! i hope that wasn't a sebring. There is quite the story behind this. 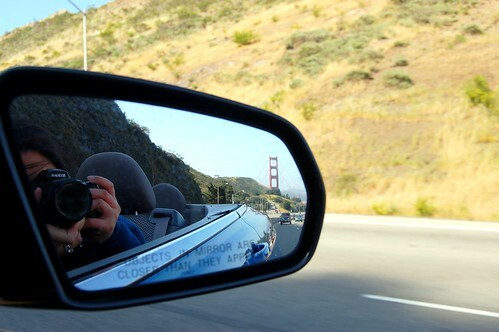 Between my tumble down a street and flying car parts on the Golden Gate bridge, you shall be amused. This picture is awesome! Can't wait for your return, m'dear. That is such a cool picture. Hope you are having a nice time! Can't wait for the food report that is sure to make me more than a little bit green with envy. um love this picture, it's amazing. can't wait to see the rest! As many times as I've seen the bridge, I still get a sense of wonder and happiness when I see it. i hope you photographed chinatown! that is a super cool shot. as always.